These gourmet bite-sized snickerdoodle crisp cookies were created by our chef, who received his degrees in Culinary Baking & Pastry Arts from the Culinary Institute of America, widely regarded as the finest culinary school in the world. 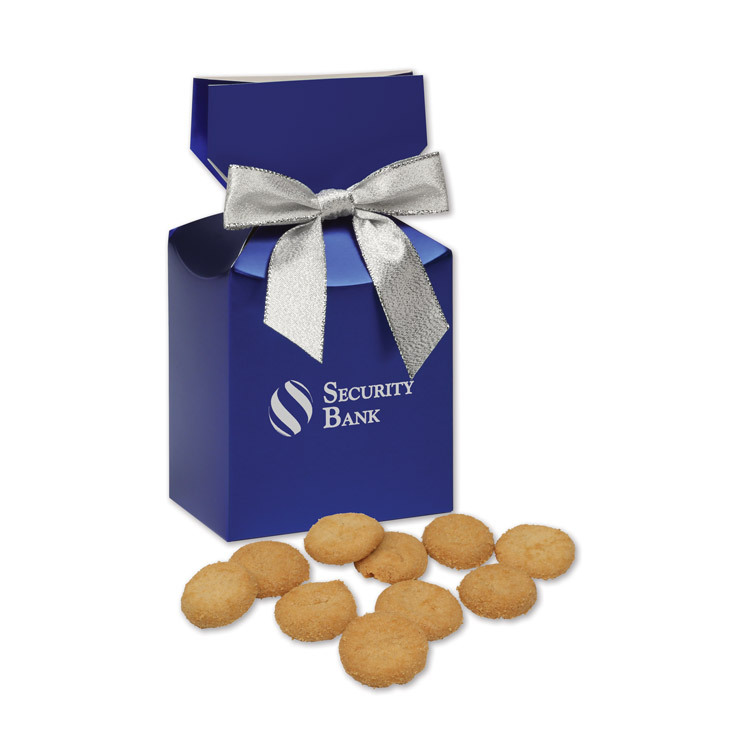 Approximately 20 cookies come packed in a metallic blue gift box imprinted with your logo in silver and complete with a silver bow. Snickerdoodle Crisp Cookies, 2.5 oz.